A request from an employee to bring a Service Dog into the workplace can initially raise a lot of questions (What about allergies? What if someone is afraid of dogs? What if the dog is a distraction? 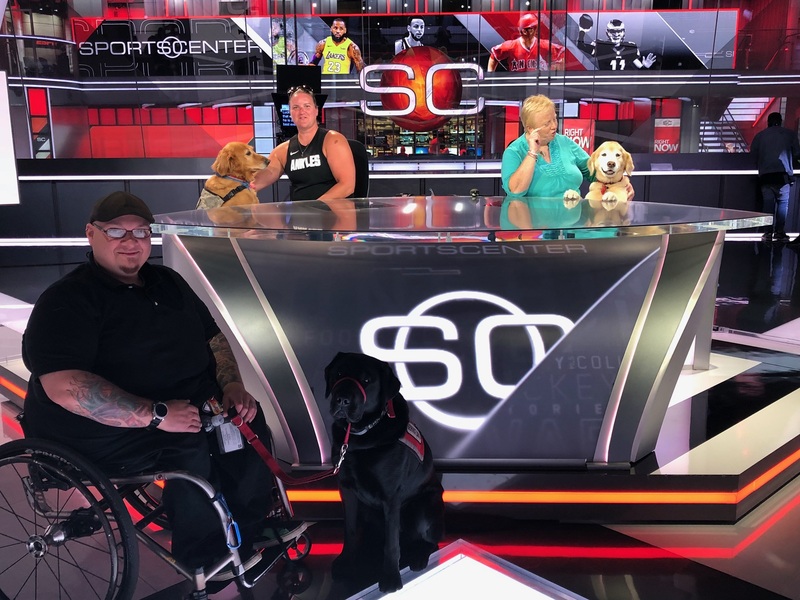 ), but most businesses we have worked with quickly realize that it's a relatively simple process to integrate the Service Dog team into daily work life. Under the Americans with Disabilities Act (ADA), a service animal is defined as a dog that has been individually trained to do work or perform tasks for an individual with a disability. The tasks performed by the dog must be related to the person’s disability. Service Dogs are trained to take a specific action, perform work or a task, when needed to assist the person with a disability. For persons with physical disabilities, tasks include, but are not limited to, picking up dropped items, switching on light switches, retrieving objects off of counters or table tops, opening doors, etc. For persons with hearing loss, Service Dogs can alert the person to his/her name being called; smoke and fire alarms; door bells; alarm clocks, car horns, etc. The ADA allows a Service Dog to accompany its human partner into all places of public accommodation including restaurants, stores, and schools. NEADS World Class Service Dogs, located in Princeton, MA, has matched over 1,700 Service Dog teams during its 41 years of operation. NEADS Service Dogs are purpose bred yellow and black Labrador Retrievers who have been trained for 18 to 24 months to provide specific task work for individuals with disabilities. Upon reaching maturity, NEADS Service Dogs are carefully matched with their new owners and each new Service Dog Team is trained for 2 weeks at the NEADS campus in Princeton. During this specialized training, the owner/handler learns all of the commands that the dog has been taught since puppyhood. The training allows for the team to bond and to practice on campus and in public settings, the obedience commands and tasks that will assist the new human owner. Part of the training includes a public access class and an extensive health class that focuses on the care and well-being of the dog. Service Dogs are working dogs and are always under the command and guidance of their owners. To enable the owner and Service Dog to remain a strong working team, here are some best practices for interacting with a Service Dog. Allow the Service Dog to perform its work when commanded by the owner. For example, if the owner has guided the dog to pick up a dropped pen or to push an automated door button, please allow the dog to follow through on that command. Allow the dog to remain in its crate if it has been placed there by the owner. Allow the dog to rest when it has been placed in its crate by the owner. Feed the dog. Service Dogs are working athletes and the amount of their exercise and food intake is carefully managed by the Service Dog’s owner. Command the dog at any time – it is under the direction of its owner. Adhering to these guidelines will help ensure the successful integration of a Service Dog into the workplace.